During my second visit to Kobe city in Feburary, I was so surprised by the experience. Aside from the deeper understanding of the city and I really fell more in love with it. Honestly even more than i anticipated. Kobe is a vibrant city of old traditions and the modern. So you might ask, what was so special? Along the streets, you will find the must-go large shopping zones and Japanese brands, while the hidden alleys reveals quaint little stores unique to the city, old food stores selling yakitori sticks, gyozas and more. The Kobe port, right next to the Meriken Park, offers a immense large space for groups and families to hang out, sporting a newly opened sea-facing Starbucks store, and the famous “million dollar nightview” from the Umie mall side. Kobe at times, reminds me a little of Tokyo, but with much less of the crowds and gentler in nature. Here are some of the Kobe city highlights which i recommend for your itinerary. I tried to broadly categorise them but some of the stores/spaces are multi concept, so do read the full recommendation. Immensely popular with the Japanese visitors, Hotel Konigs Kron Kobe (Website Japanese / or book through Tripadvisor here) which sits just a stone throw away from Sannomiya station embodies fully the Japanese kawaii culture and the love for sweets. Konigs Kron (Website Japanese) is actually a well known sweets/omiyage store in Kobe with some 50 years of history. About 3 years ago, they opened this super popular hotel. Their cute bear mascot, is seen peppered around the hotel, guaranteeing you super photo-friendly, selfie-friendly spots. Everything was so cute, and even if you are not a morning person, DO NOT miss out their breakfast. It features a jaw-dropping spread of freshly made bread buns and sweets. It’s quite a girls’ and family haven – or sweets lover haven. Because of their popular desserts, their lunch buffet is also ever so popular, with daily queues as early as 11am outside the hotel. Surrounded by sea and mountains with clean water, Kobe is known for high quality produce and ingredients, and equally – delicious food. During one of the nights, do hang out like a real local Japanese at this popular 100 years izakaya － 八榮亭. Sitting inside a cramped little store, enjoying freshly prepared grilled meat sticks passing over the heads of the customers is quite an experience; not to mention also delicious. Situated a short walk away, is 夫婦ぎょうざ gyoza store. Handmade with love, I easily finished 10 pieces on my own while my Japanese associates ate15 pieces each happily. In the day, head up to the top floor of SOL mall not only for a panoramic garden view, but to dine at the TOOTH TOOTH Garden Restaurant . Was amazed at the use of the fresh produce and ingredients in well executed Western-Japanese dishes. The beautiful black/white colonial setting also makes this a delightful lunch getaway with friends or for business lunches. Of course, we must not leave Kobe without eating Kobe beef! If you are at Arima Onsen area, then definitely must go for 花子宿 (Hanakoyado), the ryokan offers a luxurious kaiseki course dinner meal with Kobe Tajima beef. Reservations is recommended. (Reservations here). For a more kawaii experience, why not visit Cafe Otogi and get transported into the land of fairytale. Takes lots of photos of the pretty space and their instagrammable Alice Tea Party Set. For all beer lovers, you should also definitely get your hands on Kobe locally craft beer band – Rokko Beer (Website). Their successful brewery is expanding to meet the demands! Wine lovers, fret not, as you can take a drive out to visit Kobe Winery (Website), visit the vineyards and buy some of the locally made wines! If you like, you can even be a member of the vineyard and own a small patch of the vineyard and have your own grapes for wine! Kobe Wine also produced the 1000 limited edition Grand Kobe Japanese Premium Brandy, so exclusive that you can only get them in certain countries like Hong Kong. Arima Onsen, is possible the most famous onsen in Japan, being the most ancient at over 1300 years old. A short drive from Kobe city centre, or by train, gives you the chance to soak in their famous Kin-no-yu, where the onsen spring waters has the highest amounts of iron and resembles almost a gold color as a result of that. This is of course not the first onsen ryokan I have been to in Japan, but I have to say I was blown away after soaking in the Kin-no-yu 金の湯 onsen bath at Hanakoyado ryokan (Website) . The temperature was perfect, (some of the other onsens I have visited were just way too hot) and it leaves my skin nicely moisturised (without being overly waxy) and most importantly, feeling totally relaxed. It was so good that after my late night soak, I woke up for a morning soak even before having my Japanese breakfast at the ryokan. They have two private bath rooms, which the guests can use for shower and soaking! Each bath comes with both Kin-no-yu 金の湯 (the golden onsen) and the Gin-no-yu 銀の湯 (the silver onsen). The iron level is very high resulting in the color of the golden bath. I heard there are many fans of Farmers Market? I am definitely one. Kobe’s Farmers Market (Website) is opened only on some Saturdays of the month, so please do check the schedule. Open your eyes (and wallet) to the fresh produce and products brought in directly by the farmers and makers themselves. The edible flowers i bought lasted more than a week (unbelievable), and the eggs (omg the eggs), they were the freshest eggs I have had (no kidding); even after a week, the yolk was still round and fat like a ball after cracking it open! Farm to table concept? Farm Circus (Website) is that and more than just that. Located a short drive from Kobe City Centre, it is a multi-concept space that features a retail zone of fresh produce and products from Japan; bakery, ice-creamery, and two eateries. Both eateries serve very wholesome menus. I had such a good time at Days Kitchen. Like to get some hands on experience? Why not sign up for a cake decoration session at Hotel Konigs Kron Kobe’s sweets kitchen? You can pick 1 of the 4 menus, check out what I did! And you can the whole cake/tart back~ alongside a nice cooler bag and their exclusive apron! Fans of Anapanman or families looking for a theme play zone, should drop by the Anpanman Musuem. read more in my older post here. 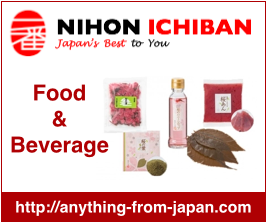 Kobe is popular for several items and souvenirs, here is a list of the must shop items. Unique and invented in Kobe City, Saku Saku Fruit & vegetable chips are prepared in a vacuum fryer, hence magically retaining the full flavours and colours even after cooked into crispy chips. These chips are available at SOGO 5F, just a few minutes away from Sannomiya station in Kobe. To better understand Kobe’s Suma Nori (Japanese seaweed), I followed the harvesters out to the ocean early morning and saw how they trawl the fresh seaweed from the ocean and basically clean, pressed and dry them into seaweed sheets. There is nothing else added to these delicious nori, just pure seaweed! Konigs Kron Kobe - the brand behind the hotel, is well known for their pastry pie cookies. if you are staying at the hotel, then its easy to get them at the lobby; if not, you can visit any of their outlets in the city. I would recommend getting them before heading to the airport. Ikanago – I cannot say enough again of these delicious seasoned sand eel fish. Pudding - Kobe is also popular for puddings. So you will see many pudding stores, even pudding flavour KitKats!